Jubilee Lighting adds that extra detail that makes your dream nursery become complete. Chandeliers, accent lighting, lamps and more. 498 points will be rewarded to you when you buy this item. 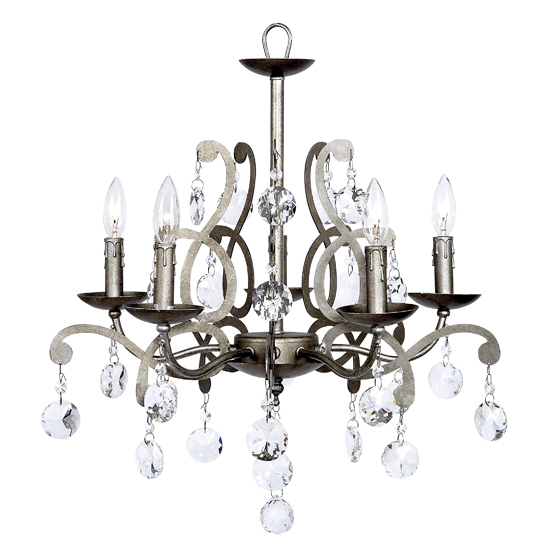 Beautiful chandelier to make a statement in your dream nursery. 5 arm Elegance Chandelier in pewter with custom crystals.